It&apos;s no secret that London&apos;s nightlife has become murkier and harder traverse in recent years. Last year, The Elephant & Castle pub in south London, considered the home of UK garage, lost its license following a stabbing and subsequently closed down. Just last week, Fabric—arguably one of the most popular clubs in the country—had its license revoked by Islington Council following two drug-related deaths. With Fabric&apos;s unfortunate and permanent closure, XOYO, where DJ Oneman has been hosting his thirteen-week long residency, remains one of London&apos;s few venues that values music as much as it values its audience. Every corner you turn in London today—particularly in areas such as Shoreditch—there seems to be a new bar or eatery with a unique gimmick of some sort. Whilst this is a sign that the UK&apos;s economy isn&apos;t as bleak as it once was, it reflects the ever-changing climate within London which seems to be more accustomed to luxury apartments with bars, clubs and restaurants to match. 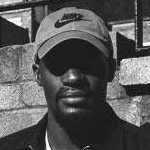 Growing up in Streatham, south London, Oneman was privy to the earliest days of jungle and house through his mother and was present during the "golden age" of pirate radio, such as Rinse FM. It seems fitting that years later, Oneman would eventually join Rinse as a regular DJ, becoming synonymous with the station itself. His presence within British music may not be as widely received as other household names but it&apos;s through his blending of garage with dubstep that has allowed him to carve out a space for himself within the country&apos;s music scene. It&apos;s a rarely ability to bring together two juxtaposing sounds and ultimately breed them into something that sounds just as natural. The XOYO residency, which began in July and ends Sept. 23, has seen the likes of Wiley, Newham Generals, Just Blaze, Stwo, Crazy Cousinz and Wookie all perform live and it&apos;s merely a testament to the diverse music culture that London has to offer. It was somewhat poetic that our interview with Oneman took place in Rye Wax, in the basement of the Bussey Building in Peckham, which has continuously fought off interest from developers. His residency at XOYO this summer represents a London that has helped shaped the perception of our culture but, most importantly, why we call this city home. Summer&apos;s actually been going pretty well—had the Essential Mix drop, which got great feedback. Obviously there&apos;s the XOYO residency, which is for thirteen weeks, but I&apos;ve enjoying it all. It&apos;s definitely been one to remember. What have been your highlights of the residency at XOYO? The UK funky night was crazy! But the Wiley night topped it for me, just because he came and did an hour set—not some 20-minute PA kind of thing. He was proper into it, whilst Slimzee was playing tracks. How have the crowd reacted to the different nights at XOYO? It&apos;s been cool. It&apos;s the first time they&apos;ve done a residency on a Friday. I feel like the Friday crowd is a bit younger and they&apos;re there specifically to hear a type of sound, as opposed to the people that go to a bar straight after work. That&apos;s why I really like the atmosphere; they&apos;re not there to people watch, just to enjoy the music. Do you feel that energy as a DJ when the crowd&apos;s more attentive? Yeah, definitely, and I think you get that at more intimate venues, compared to festival. It&apos;s hard to gauge the crowd if they&apos;re just stood there but, at the same time, I don&apos;t care that much—I&apos;m just happy to play what I want. Taking it back a bit, how did you first get into DJing? I grew up in South West London where you&apos;d get Delight FM and Upfront FM, which were the two biggest pirate stations in South. I remember listening to So Solid Sundays. My mum worked for London Records and she was there for Joy Division, New Order, acid house, jungle into drum & bass and garage. Naturally, she brought records home and I started playing around with them. Those are the vintage years. Yeah, honestly, those are the years where everything felt exciting because it was all new. I mean, it&apos;s great now, but part of the fun was no one knew what they were doing, really. You mentioned online recently that you&apos;re trying to bridge the gap between the UK and US. How do you plan on doing that? The last mixtape I did with Red Bull, Solitaire Vol. 3, was the main reason for doing it as they were giving me studio space. So I got Denzel Curry on there, Trim did a track with Ryan Hemsworth, and Mumdance worked with Tim Vocals. Was there any particular formula to that, or did you just get artists who may have sounded good together? I was just seeing what would work. I wasn&apos;t trying to capitalise, but I was trying to figure out the demographic that would like it and it&apos;s been interesting. I guess in a way that because UK and US sounds differ so much, the audiences are going to be different so it&apos;s hard to nail a particular type of crowd that like it. Now&apos;s the right time, what with US fans paying more attention to what&apos;s happening over here. Yeah, it is now with rap, such as 67, Tremz and Showkey—rest in peace. Those guys are doing drill and trap music which has a mass appeal in the States compared to the grime. That&apos;s the sound they really want to hear over there because it&apos;s relatable. People like Section Boyz and those guys I mentioned, it&apos;s the content that sells over there, the crud talk, whilst for grime it&apos;s probably more about the flow and energy. Bringing things back to London, the clubbing climate has changed over the past couple of years. Has that had an impact on you much as a DJ? In a way, yeah it has. There are some clubs I&apos;d love to play at, but I can&apos;t. Loads of clubs are closing, and Studio 338 just got burnt down, so I&apos;ve found myself playing at big warehouse parties where it&apos;s a lot more DIY. How does London regain that identity, and is there a way to reclaim some of those spaces that have been lost? I think there is, but not many people are doing it at the moment. A place like this [Rye Wax] is what I love; when they do their parties, especially with the low ceilings, that gives it that homely vibe. These kinds of spots are what south London means to me. If there&apos;s a way to get more of these type of spaces, then that&apos;s a step in the right direction. Do you reckon that&apos;s easy to achieve nowadays? Probably not as much. Things are more expensive and, a lot of the time, it comes down to who has more money.